I have a lot of scrap pieces left over from the storage units I built. What to do with them? I had two large pieces left over. One was a bit smaller than the other so I chose to use the smaller piece. 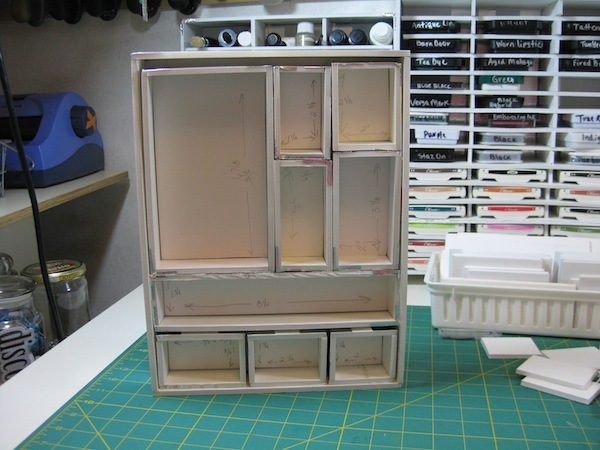 I decided that a base for the Configuration Box would be a good size at 9″ x 12″. My base piece is 8-1/2″ x 11-1/2. I started picking out the scrap pieces and laying them on the base. Trying to figure the best use of the scraps. Might as well start at the bottom. 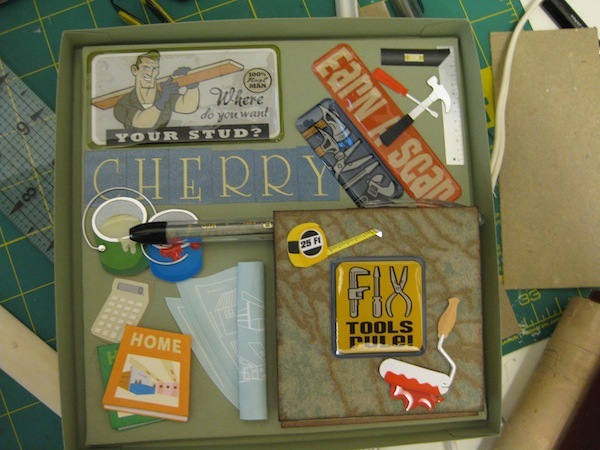 Not knowing the sizes of Tim Holtz Configuration Box I decided to just wing it. 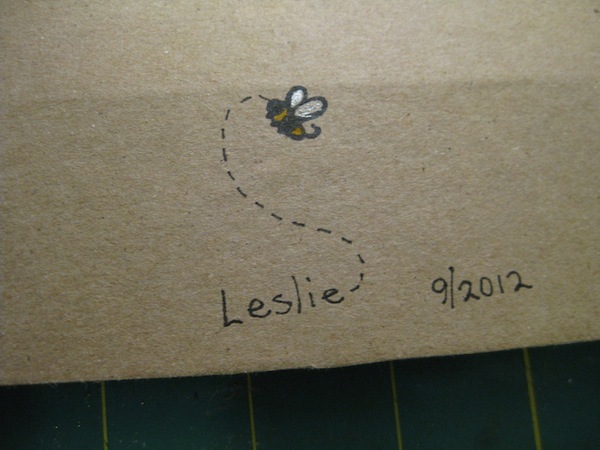 The first box I decided to make the inside dimensions 1-3/4″ x 2″. 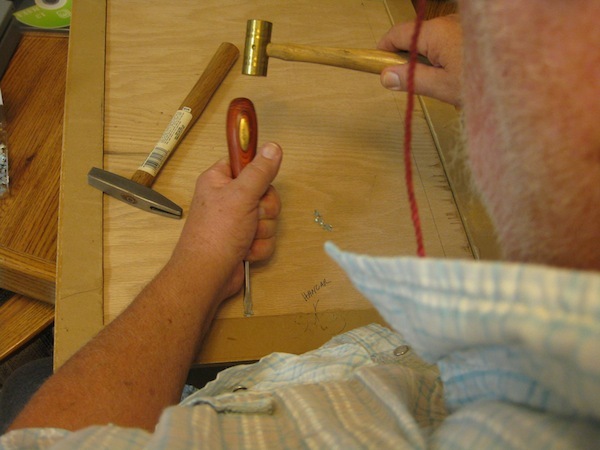 The outer pieces (sides, top, and bottom) will take up about a total of 1/2″ in width and height. Staying with the formula that has worked well so far, I used the metal tape to secure the two sides, top, and bottom to the box base. After a while I had three boxes prepared for the bottom row. There is a lot of cutting, measuring, taping, and lining up the pieces. 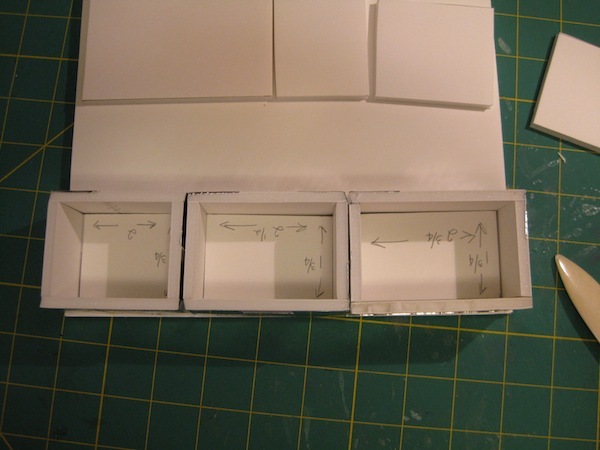 Next I worked on the box I chose to make the total width of the inside base. The process was getting easier and I was getting into a rhythm. 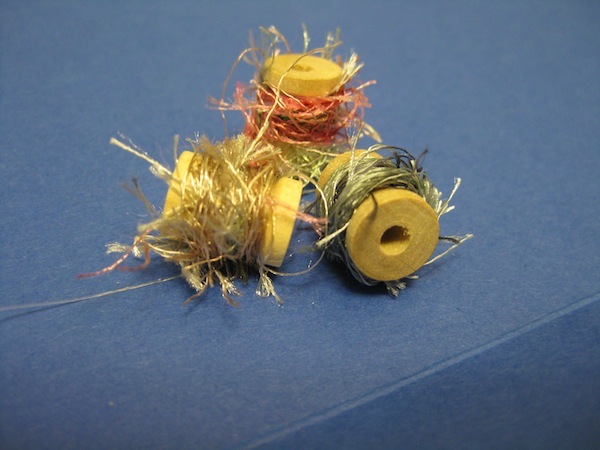 Things were moving along very well…..until Crapazoid!!! 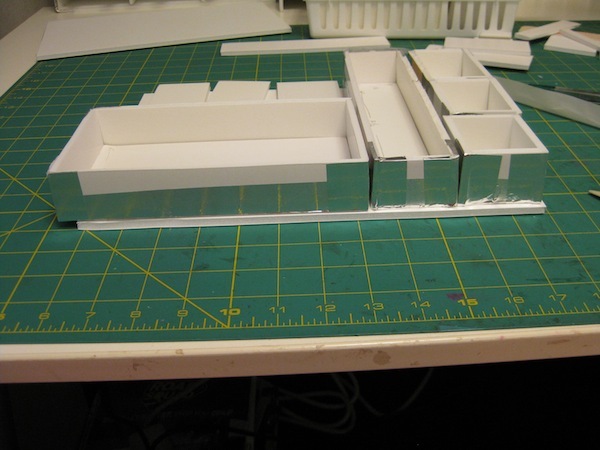 I forgot to cut the larger piece down to compensate for the 1/2″ of the top, bottom, and two sides. I had to cut away a portion of one end of the box. Checking for fit and cutting a teensy bit more off until I had the right size. Not a big problem to solve, just one of those “Being prideful will end up in a stumble”. I was really all full of myself. So much so that I wasn’t paying attention to what I was doing. Once I got past that little glitch, double checking the measurements of the remaining pieces, I felt really good about the finished boxes. Next was to build the outer box. Creating the sides, top, and bottom and fitting them to the base. All that was left was to put the little boxes back inside the bigger box. 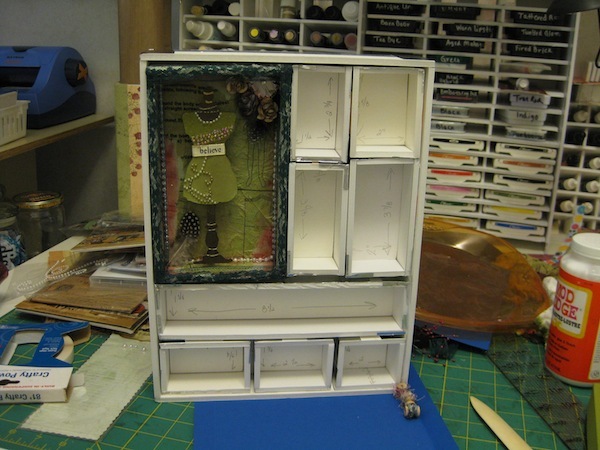 Now it looks – sort of – like a Tim Holtz Configuration Box. Not exactly but sort of close. 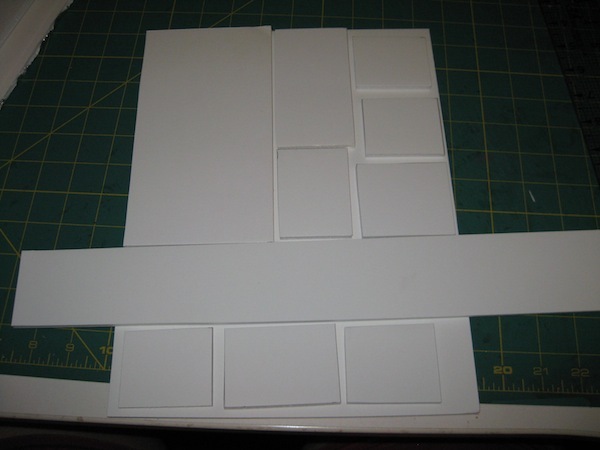 I still have quite a few Foam Core scraps. Not as much as I had before. 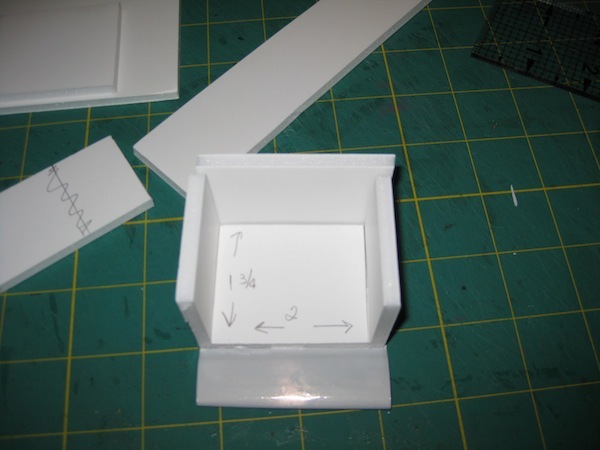 There are enough square pieces that I’ve thought about making a box with a lid. 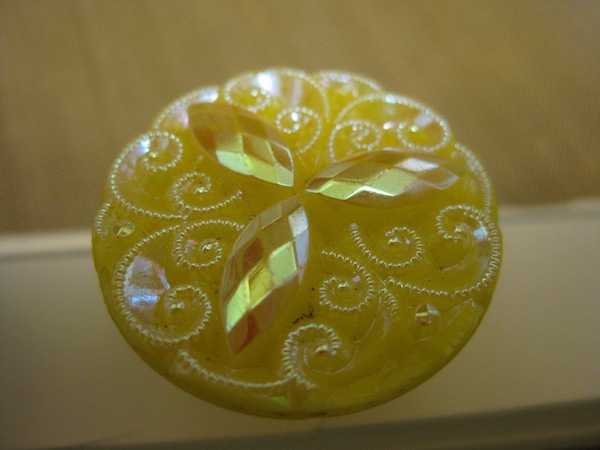 Maybe use it for the beaded pins I’ve made. 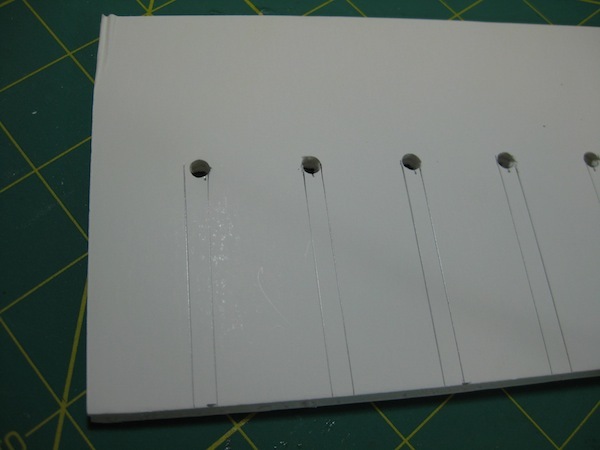 Stack some of the scrap pieces of Foam Core in the box and poke the pins in the foam. Something for them to stand upright in. 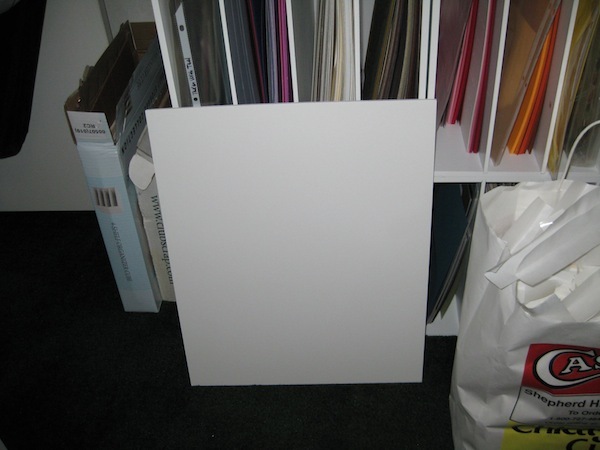 And I still have one large piece of Foam Core left. I think I’ll just put that aside somewhere for next winter. If I were smart, I’d take the scraps and the one large piece over to Hugh so he can create some storage for Heather. That way I can get rid of stuff that will only be taking up space. I don’t know when I will use the stuff again. At least by giving it to someone who could use it I will feel better about the waste. 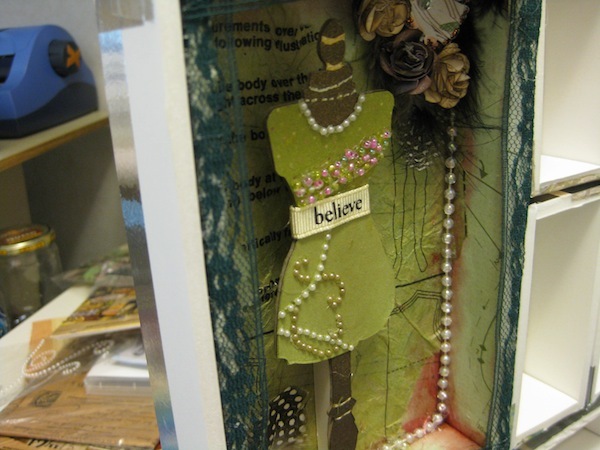 Next is the creative journey with paper and embellishments. 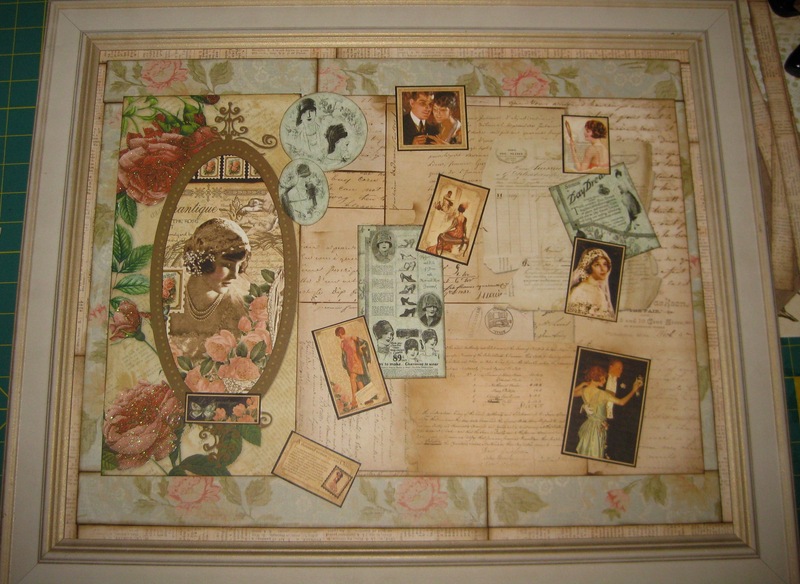 I’m thinking of making this art piece about sewing. 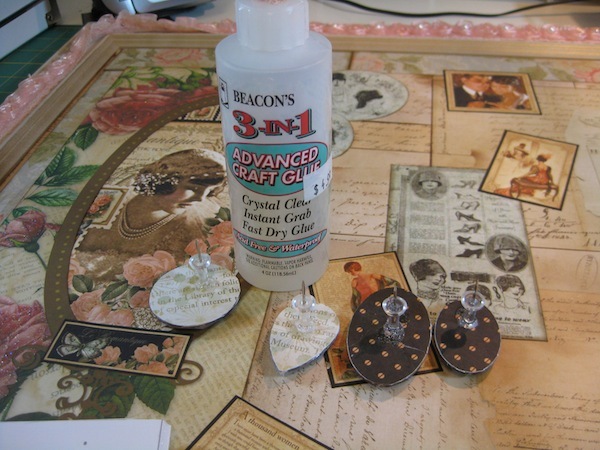 I have the Dress Form die from Tim Holtz, a sewing machine stamp from Stampin’ Up!, some small – and smaller – wooden thread spools, a couple of old patterns I can use the tissue paper, and the sewing directions I think will be good to use. 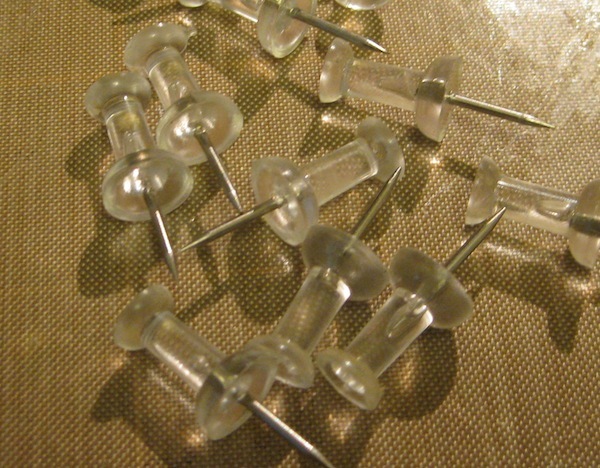 I’ve got buttons, snaps, hooks, zippers, and all kinds of other stuff stashed away. A note of CAUTION. 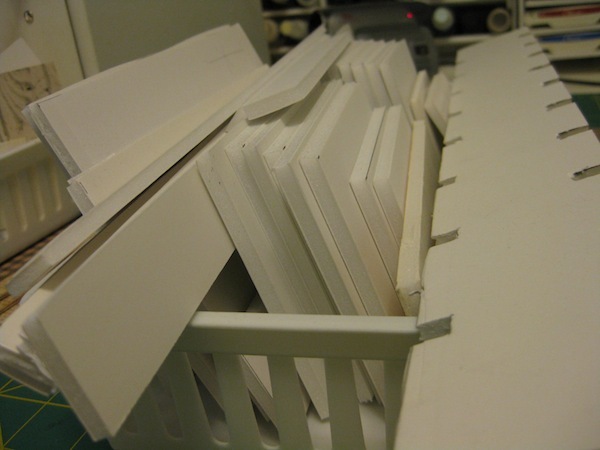 If you choose to make something out of Foam Core, please be advised. Spray paint is really good to use because of the low liquid content of the paint. This stuff is NOT good for any Shimmer Spritz applications. 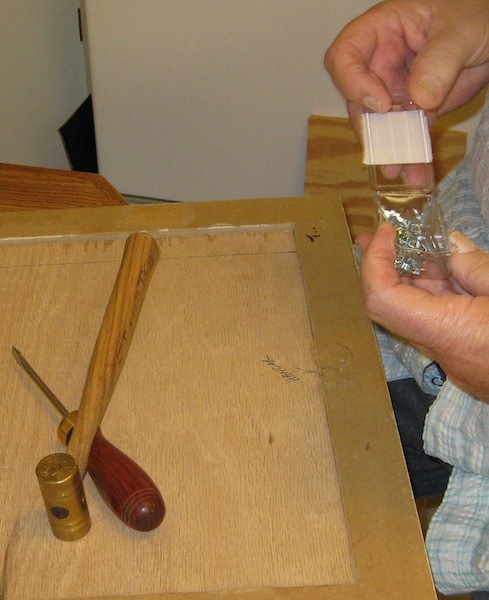 The paper cover over the foam will curl and buckle resulting in the paper separating from the foam. Not good. 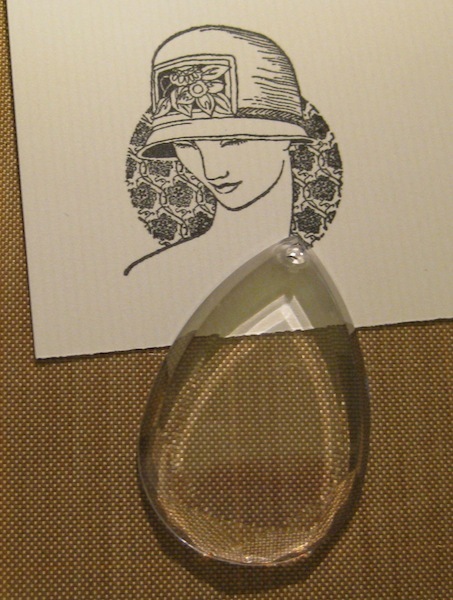 If you want to use your Shimmer Spritzes feel free to use it on the card stock you will attach to the Foam Core. 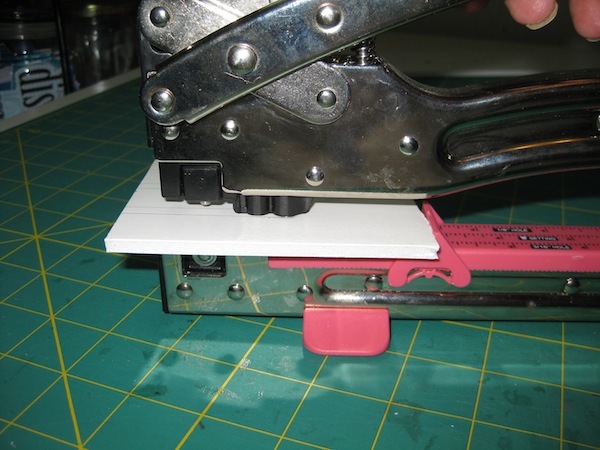 Just don’t use it on the Foam Core. Okay, now I’ve got to get back to the kitchen and my spaghetti for dinner. Last year I made a trash receptacle out of Foam Core. In theory it would work wonders. In reality not so much. It ended up falling on the floor and would not remain attached to the bottom of my table. Some additional thought will need to be used to make that one work better. First thing to do is PICK YOUR SPOT. 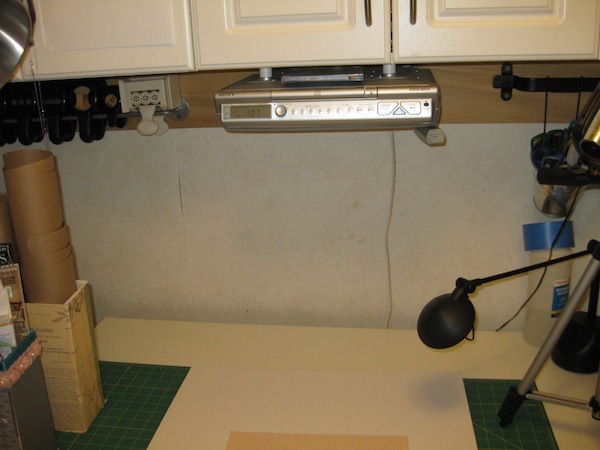 Depending on how much space you have available AND the amount of ink pads you have this type of construction can be adapted for any size space. Even a small closet area. 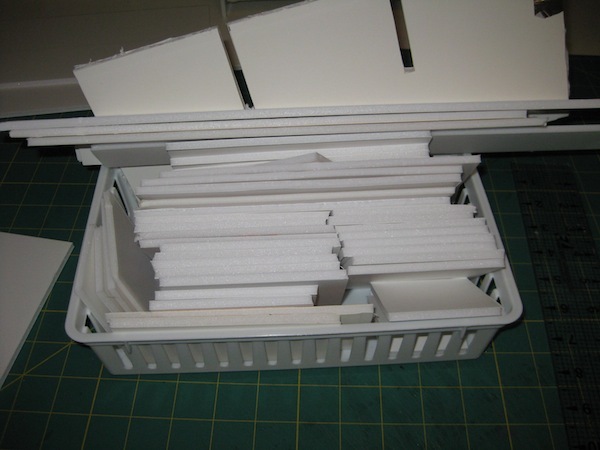 The good thing about Foam Core is it is sturdy when constructed well. You won’t be able to stand on it but it will hold the weight of your ink pads, reinkers, and other stamping related items without caving in on you. It is portable and can be moved from one location to another if you have a penchant for rearranging your area as I seem to have. This can be adapted to your needs. Just because I’m doing mine as you will see does not mean it is “Gospel” and has to be done my way. 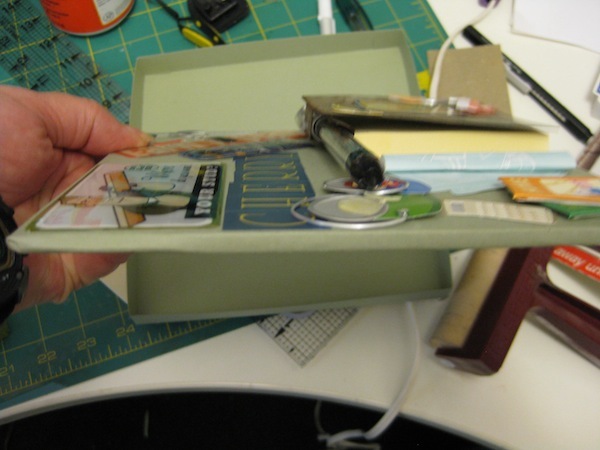 Do you need a place to store your stamp cleaner pad? That funnel type tray for your embossing powder over spill and/or glitter? 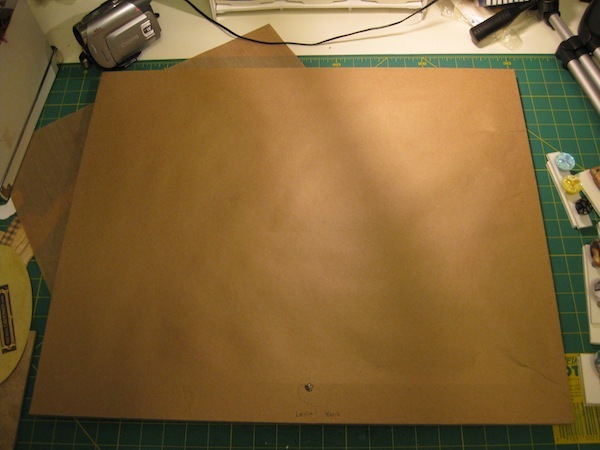 Do you have those large Archival Ink Pads? How about the long and narrow multi colored ink pads? 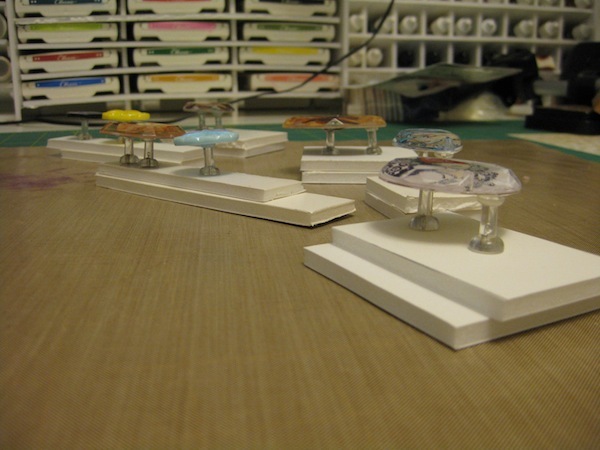 If you purchase a ready made ink pad holder to our specifications it can cost up to $100. 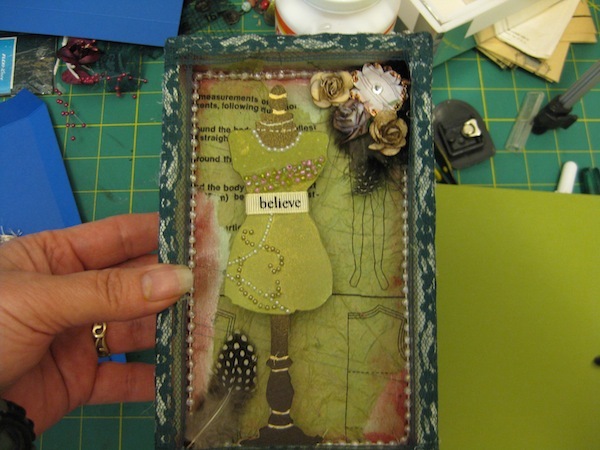 Make your own for $6 plus the personal time to create and construct one specific to your personal needs. 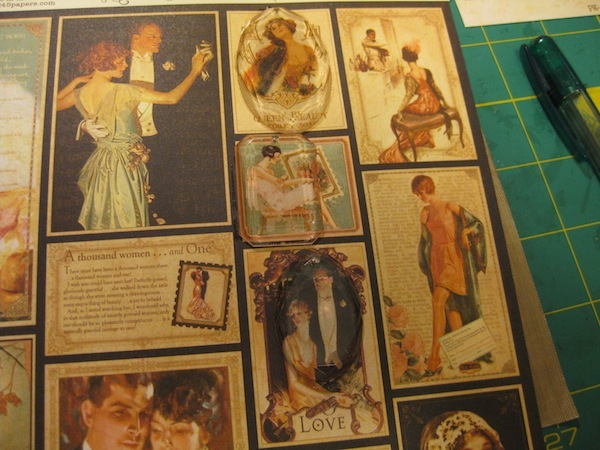 You can spray paint the pieces as you get them made or cover them in the paper(s) of your choice. This is a project that will take a while to create so don’t imagine having this done in a couple hours. 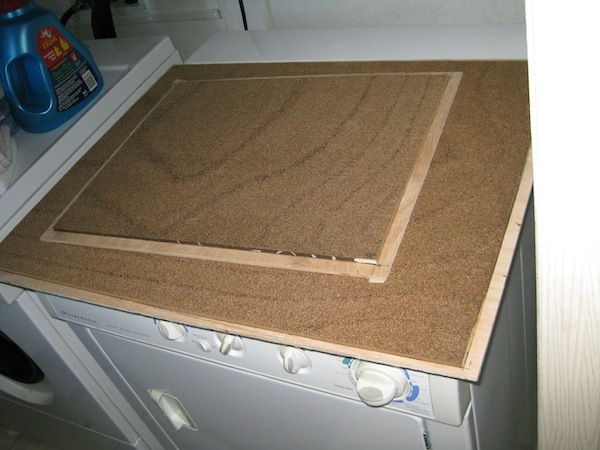 Depending on how difficult you want to make this, it CAN be put together in just a couple hours if you only make a top, bottom, and two sides. Slap that puppy together and call it good. 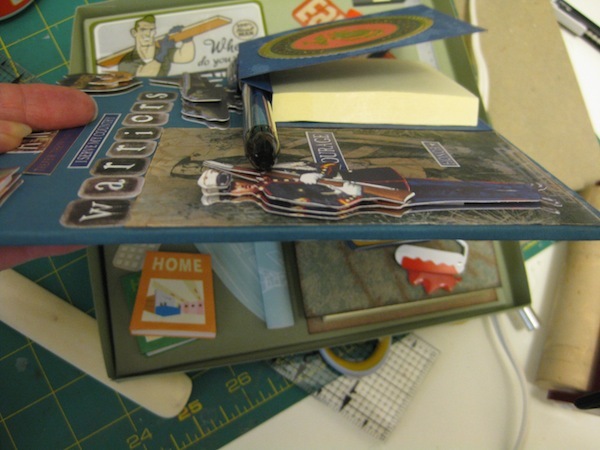 Here is a link to a blog writer who made one of the more complicated ones for her Stampin’ Up! ink pads and reinkers. Syzygy of Me. Mine is not going to be quite so complicated but it will involve some of the same steps. 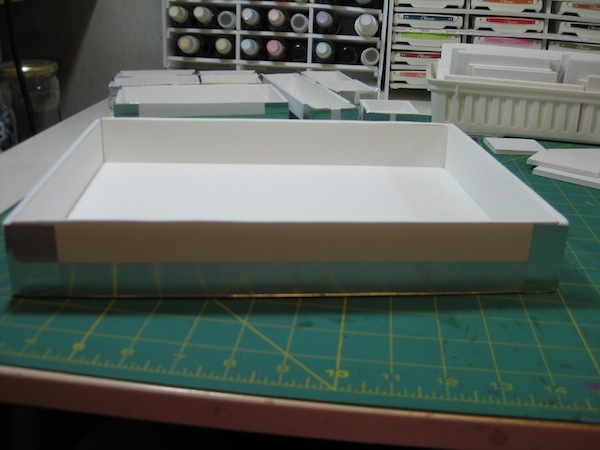 First – Where to purchase Foam Core – if you don’t already have some. 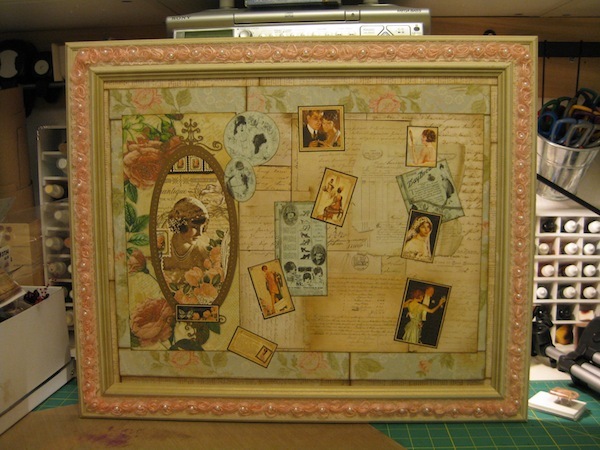 I purchase mine from Hobby Lobby – found near the framing section – and from Michaels – found near the children’s art section. 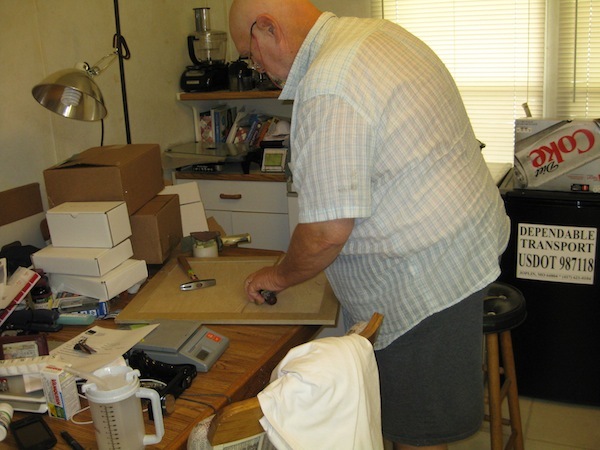 I’ve read you can find Foam Core at the variety of Dollar Stores, Dollar General, Dollar Tree, Big Lots, and other thrifty places like that. 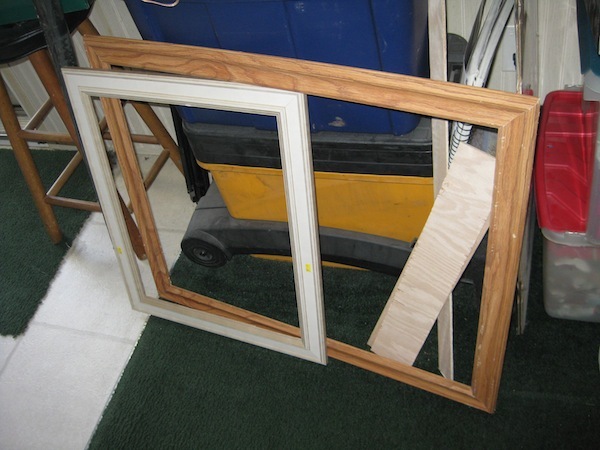 The sizes and prices range from $1 to $6 and from 12″ x 24″ to 36″ x 42″. 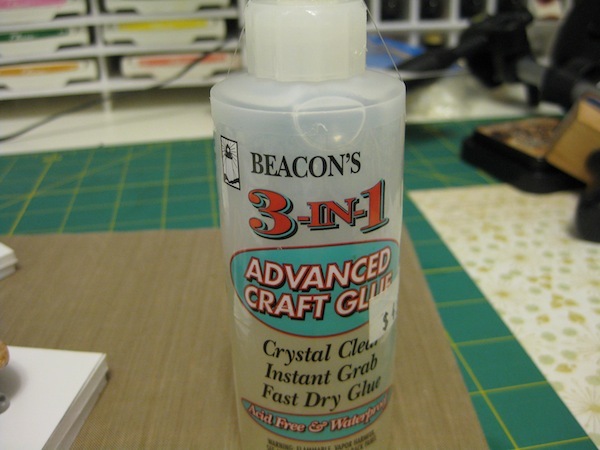 The larger sizes are found at the craft/hobby stores. 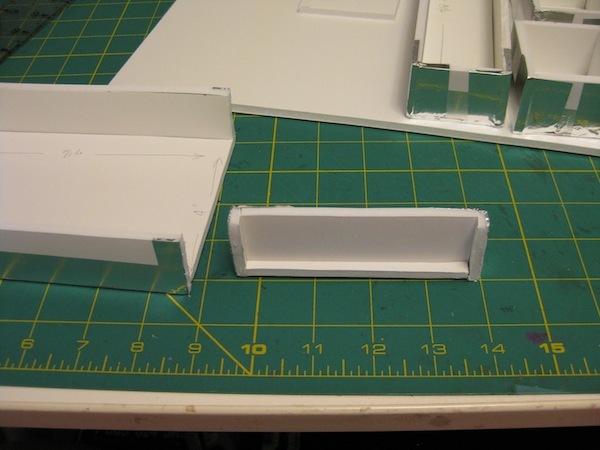 Foam Core is light weight and the thicknesses range from 3/16″ to 1/2″. 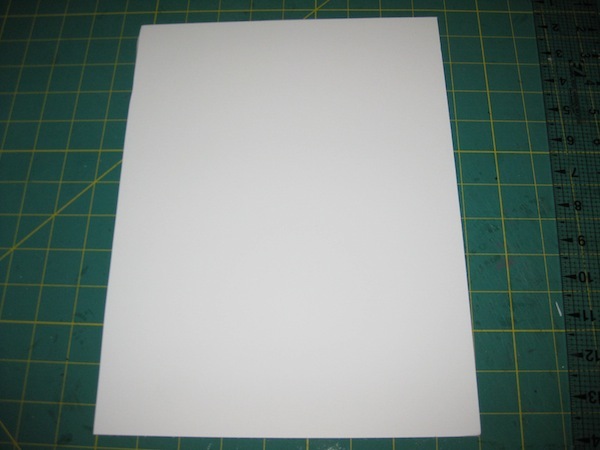 The inner foam is sandwiched between thick paper. 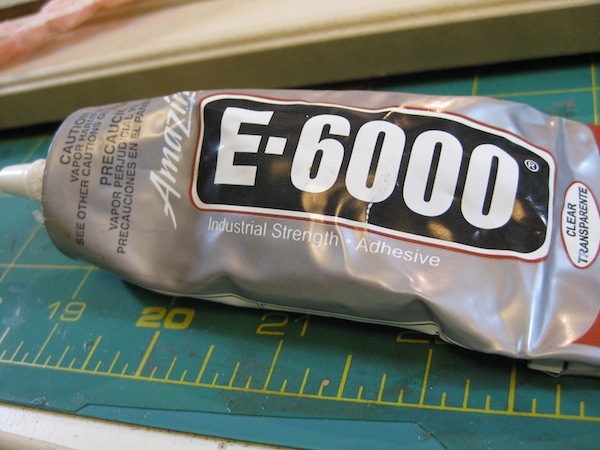 This allows you to use hot glue or a good strong tape – such as duct tape to assemble your pieces together. Now on to what I’ve accomplished so far. 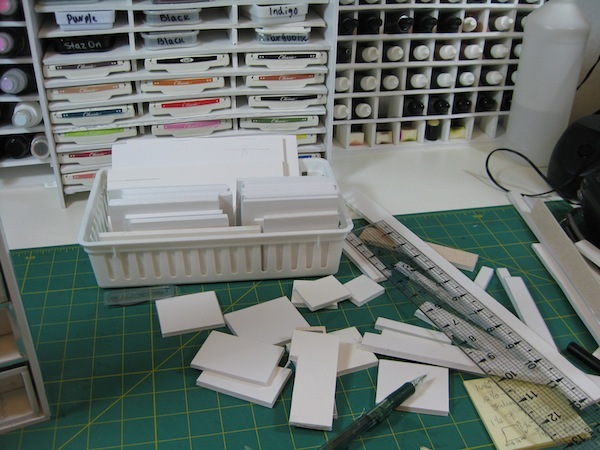 I ran out of my stash of Foam Core and will need to make a trip to the craft store to get more today. STEP 1. 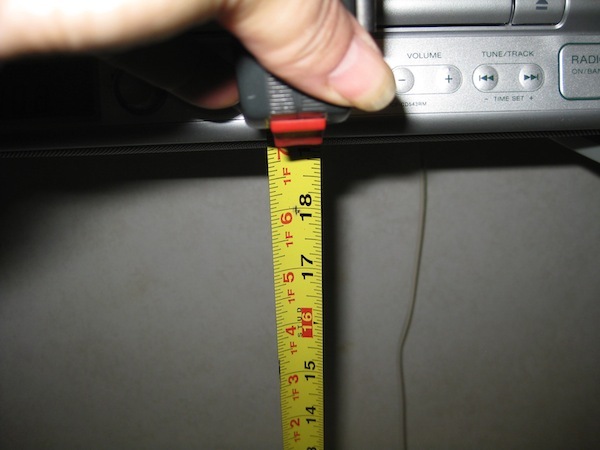 Measure your area. 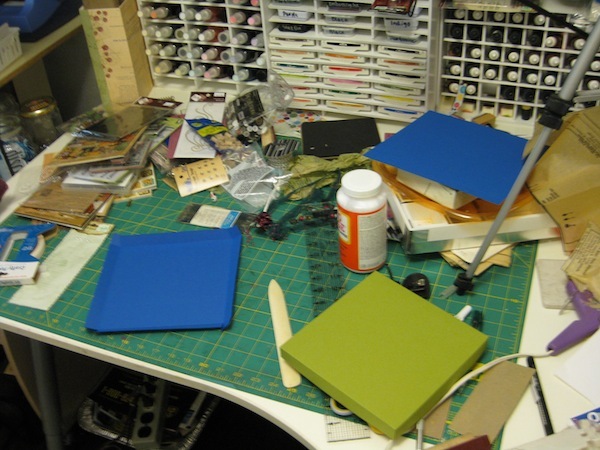 I have 18″ of clearance from the top of my work table to just below the radio/cd player thing. 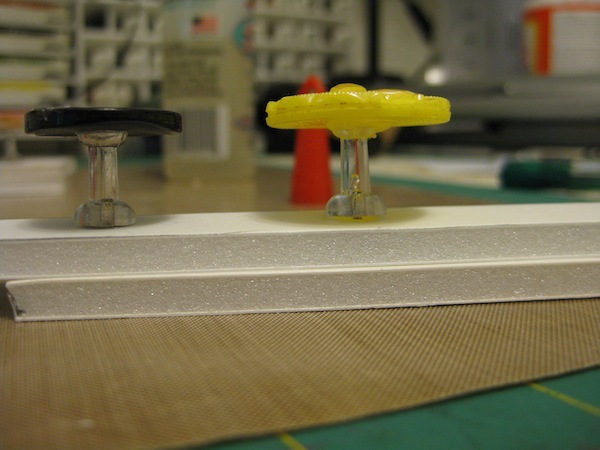 I have a width of about 36″ to build my creations. I’m going to be making these in sections then joining each section. That is the plan right now and subject to change at any time during construction :-(. 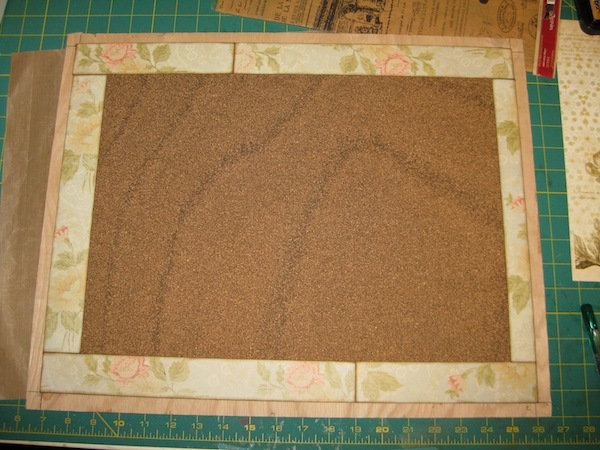 The base, or bottom, and the top is only going to be 5″ wide. 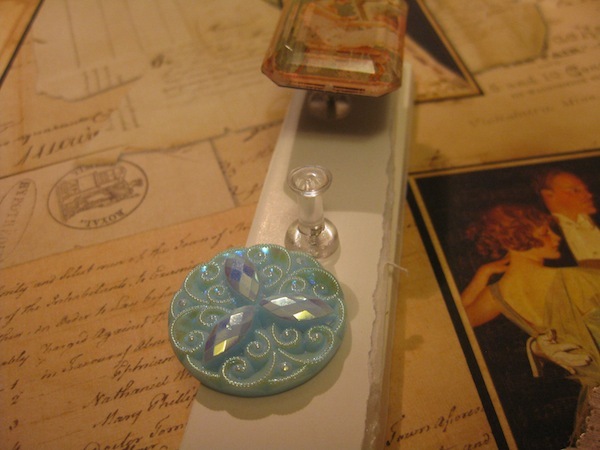 This is about 1/2″ wider than the Stampin’ Up! ink pads I have. You can make yours to be 4-1/2 inches if you wish. 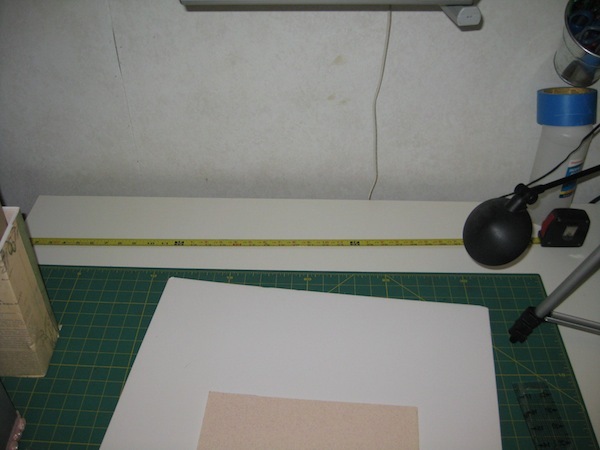 STEP 2 – Cutting the Foam Core. 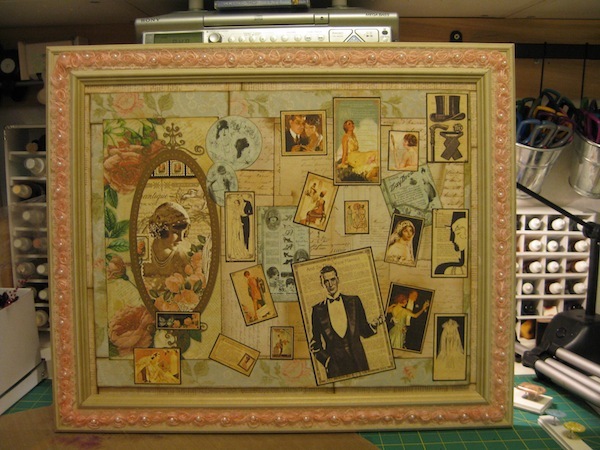 I am making this section 18″ tall, 12-1/2″ wide. 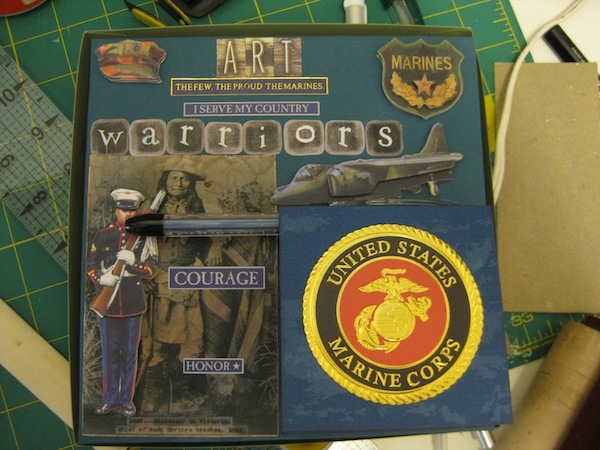 This will be the back panel of my box. 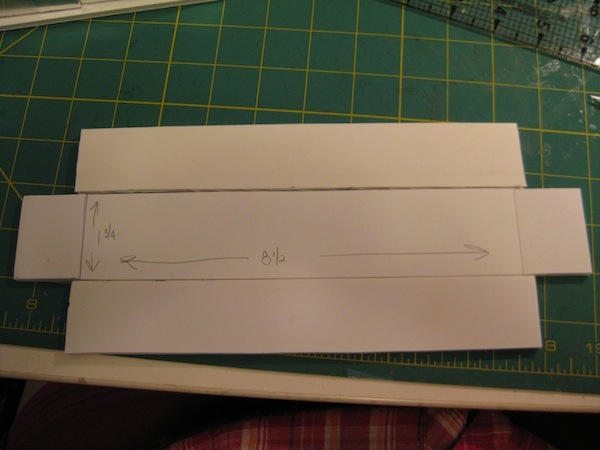 Measure and draw lines on your Foam Core Board and use a craft knife to cut through the layers of paper and foam. 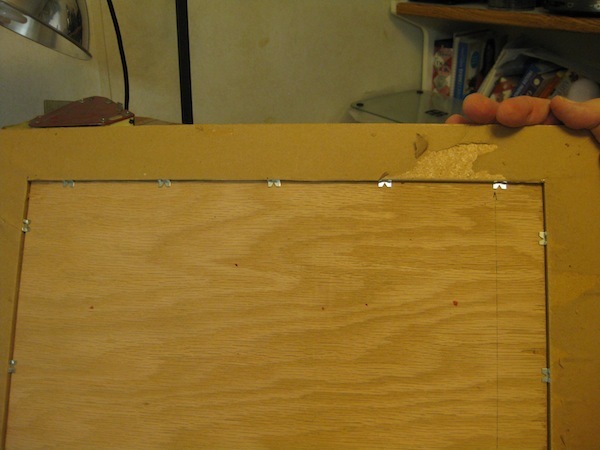 Make sure to do this part on something other than your work surface so you don’t cut through your table top. Cut your bottom, top, and two sides as well. 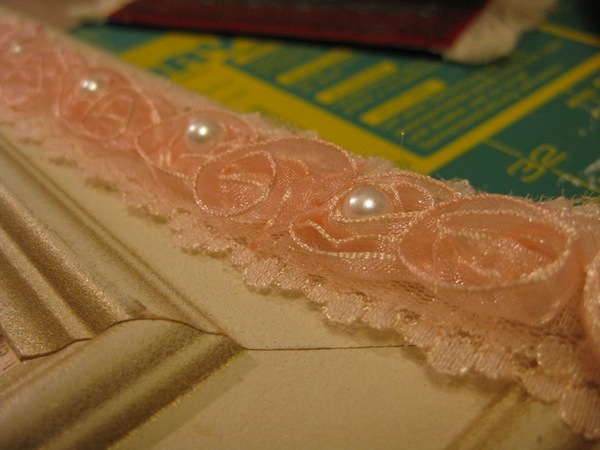 My top and bottom will be 18″ long and 5″ wide. 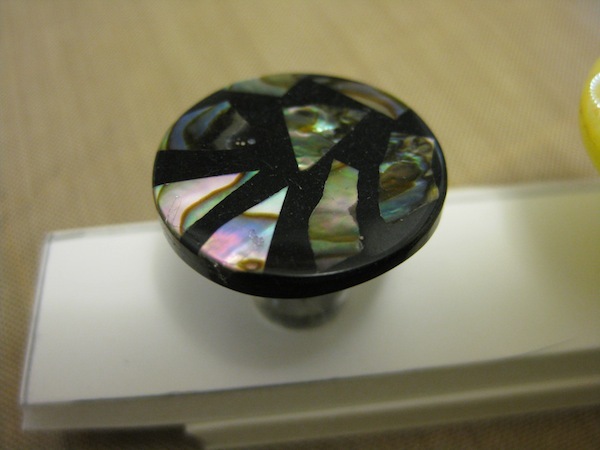 The sides will be 12-1/2″ long, and 5″ deep. I’m already confused 😦 Top and bottom will be 12-1/2″ wide by 5″ deep. 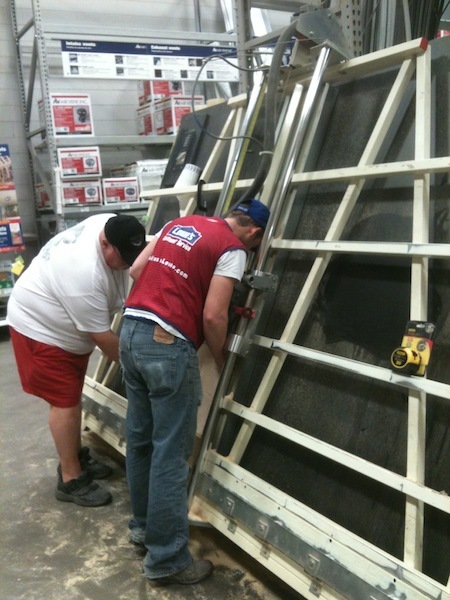 The sides will be 18″ tall by 5″ deep. Now is the time to decide if you want to go the easy route. Do you have only Stampin’ Up! ink pads? See My Paper Passion for an example to stack the Stampin’ Up! pads. They stack on top of each other pretty well and don’t topple over or cascade down. 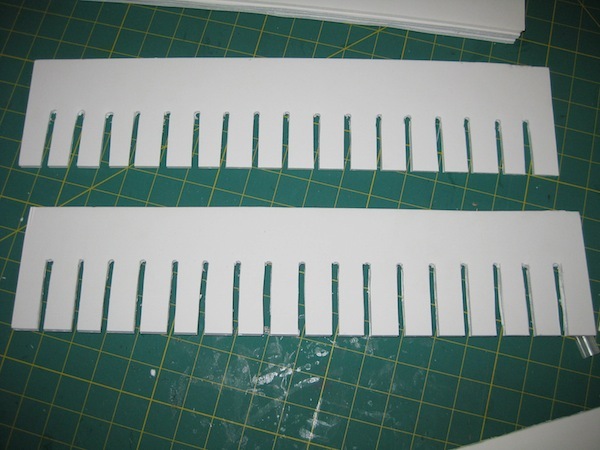 You can cut Foam Core to the length, top to bottom, and attach them with hot glue at this point and call it done. That is after you have put your top, bottom, and two sides together. I’m going to make shelves spaced 1″ apart. The next step is going to be tedious. STEP 4. Mark the shelf spacing. Around the center of my 5″ by 18″ shelf support I made 1″ marks then used my Big Bite Cropadile to make the holes. 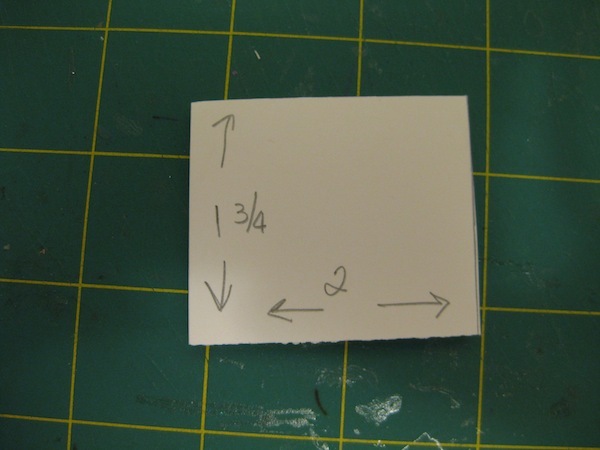 It is so much easier to do it this way than to draw a rectangle and make the two small corner cuts at the center. This is how I used my Cropadile. 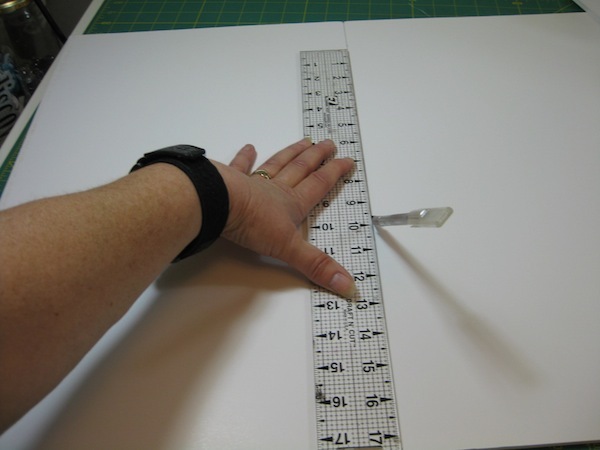 Draw even lines with your ruler from the hole you made down to the end of the side. 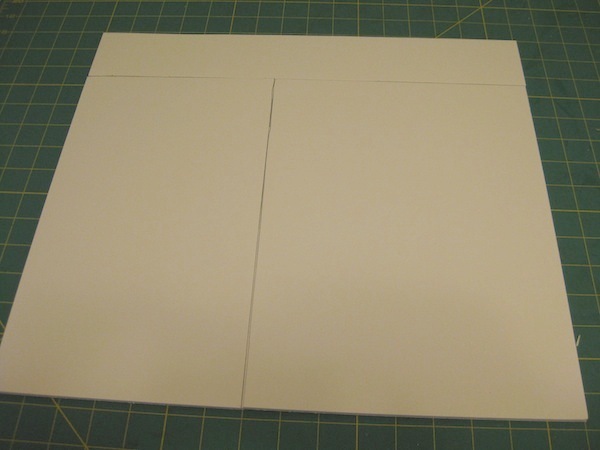 Cut the Foam Core out of this area. These two will be standing to divide my box into four sections. 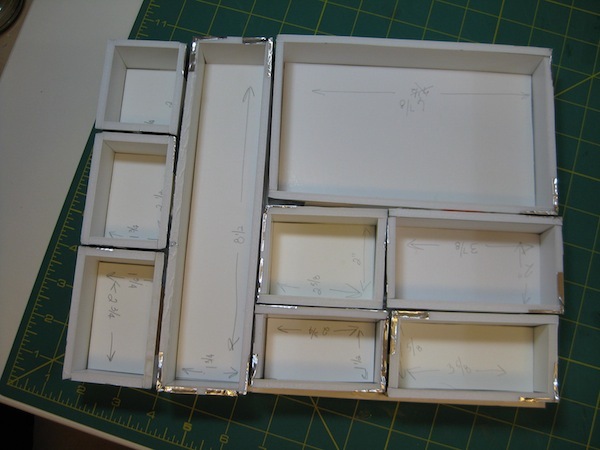 The shelf parts I will construct today after I get back from purchasing more Foam Core. 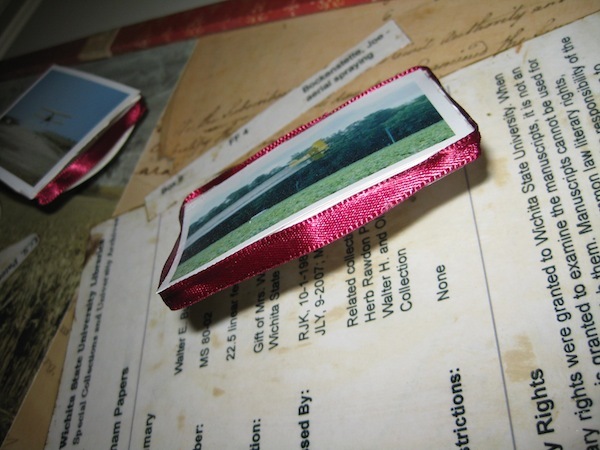 The principle of this type of design is to make the box stronger and less likely to warp and bow as time passes. Think of the last time you purchased a box of stem ware or glasses. 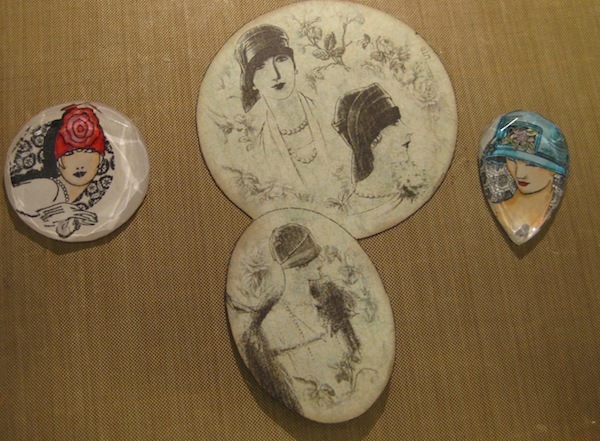 The cardboard inserts that separated the glass ware into individual compartments. That is what I’m going for in this construction. I’ll have more for you tomorrow on the creation of this box. So stay tuned.